I LOVE puns. Or nerdy jokes/pickup lines. These are very important facts about myself. A few weeks ago my older sister Anna was texting me and trying to come up with a name for her birthday bike ride. A quick google search of bicycle puns didn’t help much with the title but gave us an excellent start for the description. The idea of this party was to have a “wheely good time” while biking around Denver, CO to various local breweries*. We would ride until we were “two-tired” to keep going. Get it? 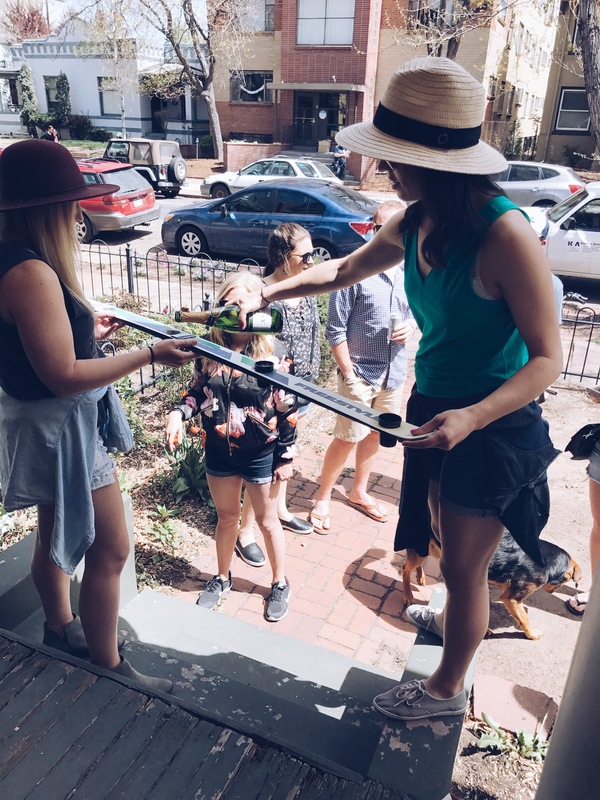 Saturday morning we met up with our squad of riders and kicked off the festivities with champagne shot skis and mimosas. 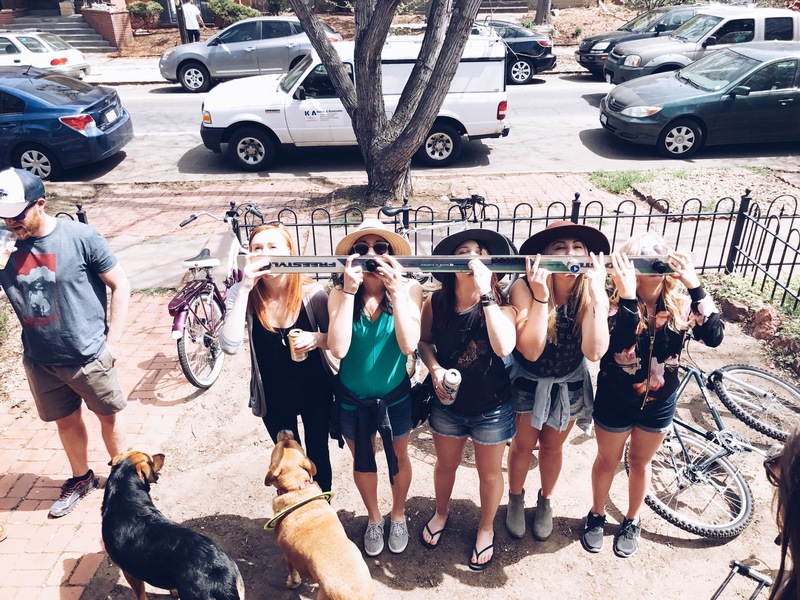 Shot ski technique is simple – try to be the same height as your team, don’t spill. Mid-shot ski, excellent technique and they are all the same height! 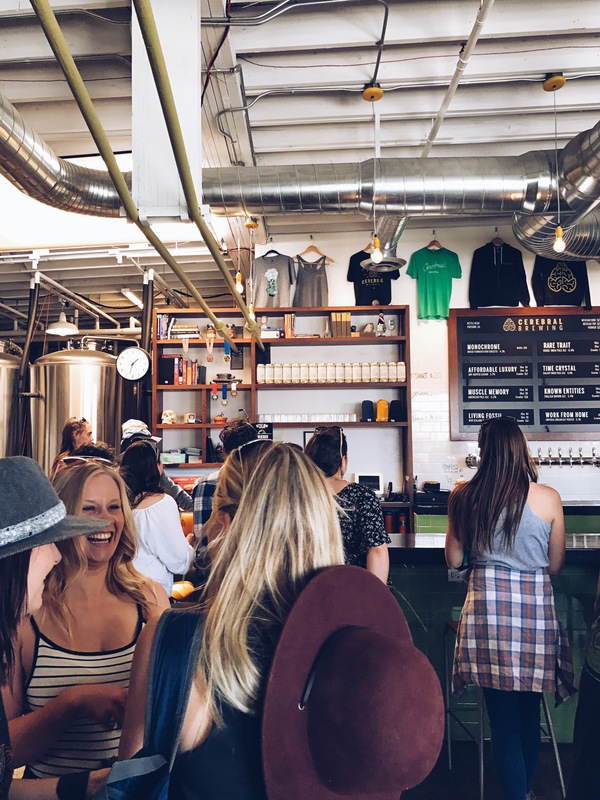 After pumping up our tires and eating a well-rounded meal of waffles and waffles, we buckled our helmets and headed to the first stop – Cerebral Brewing. 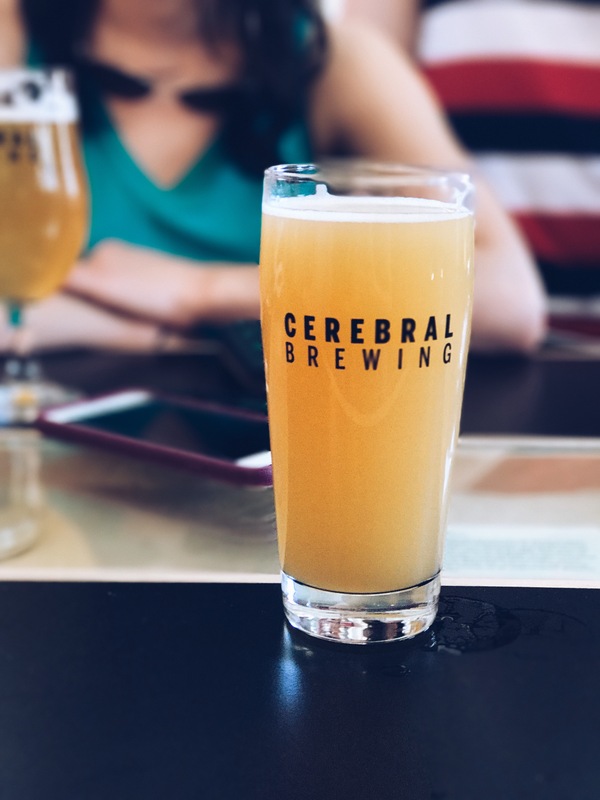 Located east of downtown Denver, Cerebral has a neat vibe. They play on the intellectual side of brewing beer and display Petri dishes growing yeast on the inside tables! I’m pretty sure I got the beer – “Muscle Memory” – and I’m pretty sure it was delicious! bikes + beer + sunshine = fun. 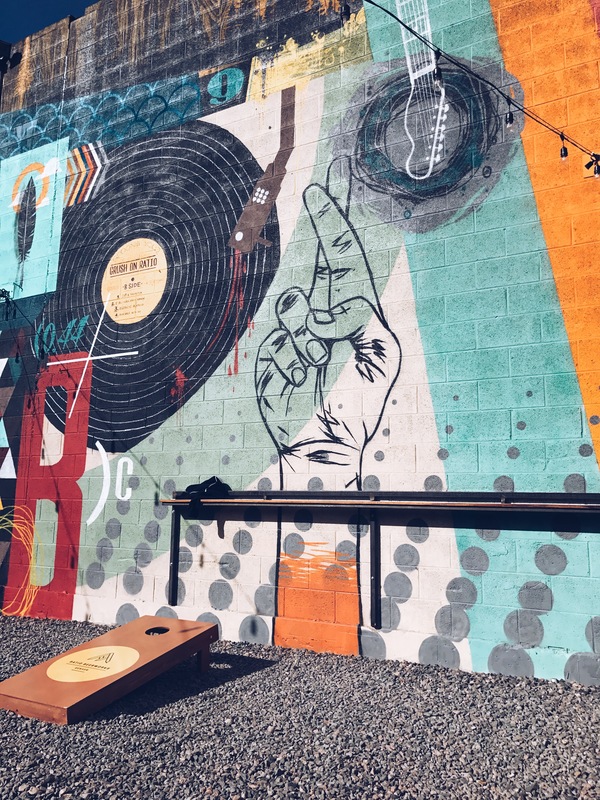 Black Shirt Brewing is located in RiNO with an awesome back patio where barrel sitting is a must. While the kitchen wasn’t open when we were hanging out, they had a GRAND OPENING for their pizza kitchen this week, April 19th. What could be better than a slice of pizza to wash down their beer? 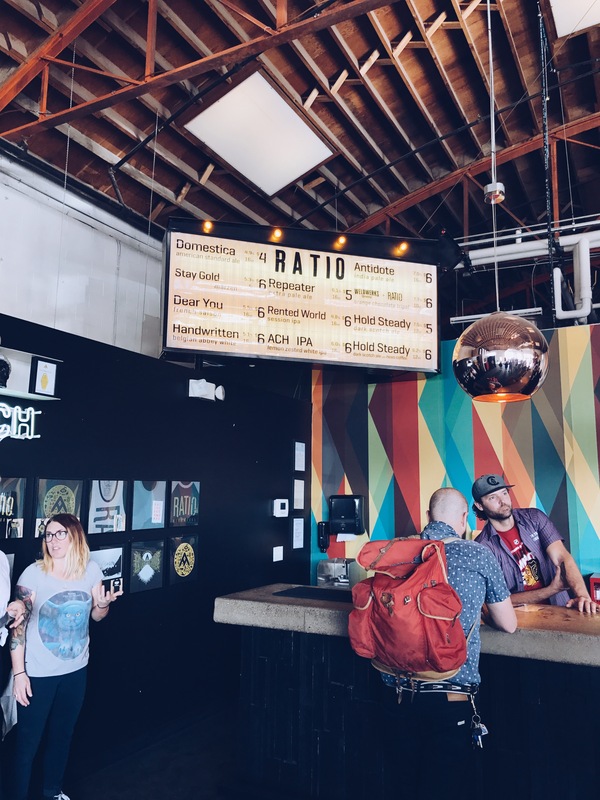 The third and final stop on our beer tour was Ratio Beerworks. Alright, this place is cool. They have a fun vibe and the beer is fantastic. This was also the only stop that I ordered IPA which is my favorite type of beer so that may have influenced that statement…. Anyhow, out back is corn hole, lots of space to gather, and on the curb was a grilled cheese food truck for all of our hunger needs. All in all, a 10/10 day. Where would you go on a bike tour of your town? 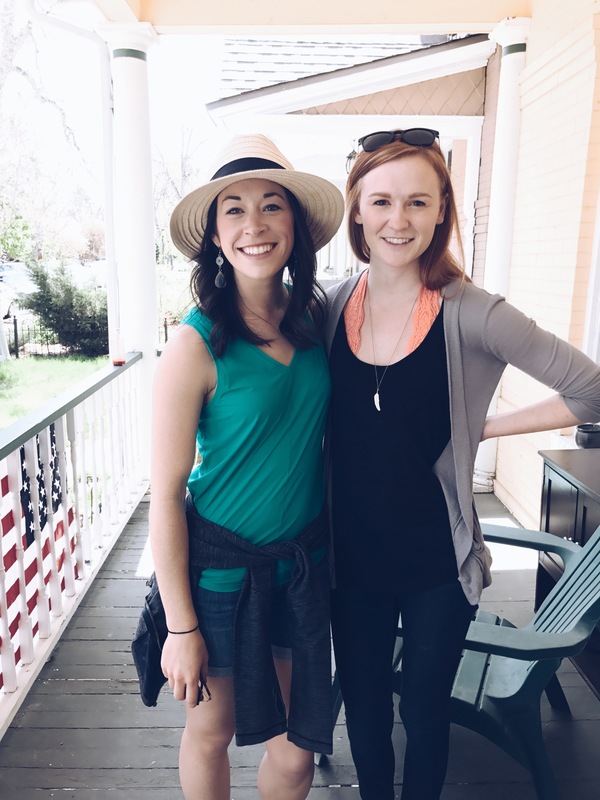 Coffee shops, restaurants, breweries, ice cream stands – the possibilities are endless! *obviously, if you choose to drink and ride your bike – ride responsibly! This entry was tagged Beer, Bicycle, birthday, Colorado, Local, Science, Wander. Bookmark the permalink.